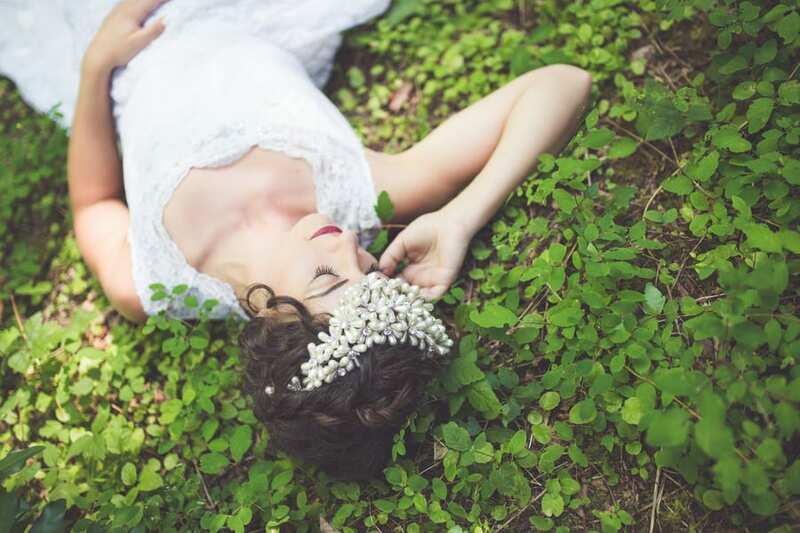 “I had been dying to shoot a really dreamy & whimsical bridal session. I had this stunning wedding dress which was a not-so-lovely 80s style to begin with but after a bit of cutting and redesigning, the gown was perfect. I adore all of the lace on the gown and when paired with a chunky bling covered necklace used as a headpiece, I was in LOVE! Everything paired perfectly together and had a definite romantic vibe. The model and I set out to a local spot called the Colliery Dam and explored. She happily laid in ferns and beds of greenery, surrounded by gorgeous rainforest trees as the sun shined through.